Giro Swiss made watch dial vintage new old stock 26mm diameter. 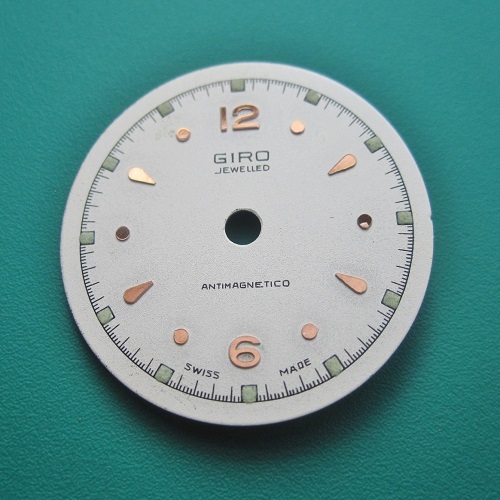 Giro Swiss made Jewelled Antimagnetico printed on dial face 2 dial feet 26mm diameter dial. Please note these are vintage parts and dial colour can fade with time.